Six months on, the public release of the mission report notes that once again, Somalilanders displayed their dedication to the unique democratic spirit they have crafted from their challenging history. In particular, there was real progress in inclusion of youth and women: the election of 10 female candidates represents a huge step forward. Yet concerns expressed immediately following polling day—especially over observers’ reports of widespread attempts at multiple and underage voting—remain real. The 50-strong team from 20 countries was invited by Somaliland’s National Electoral Commission (NEC) to observe voting on and before polling day, November 28th 2012. Six months on, the public release of the mission report notes that once again, Somalilanders displayed their dedication to the unique democratic spirit they have crafted from their challenging history. In particular, there was real progress in inclusion of youth and women: the election of 10 female candidates represents a huge step forward. Yet concerns expressed immediately following polling day—especially over observers’ reports of widespread attempts at multiple and underage voting—remain real. While definitive information on which political actors gained the greatest advantage is lacking, there is sufficient evidence to state that successful attempts at multiple voting occurred at very significant levels. Thus, although the report declares the election process reasonably free and credible, it must fall short of describing it as fair. Perceived unfairness gave rise to post-poll tensions in several regions and protests resulting in a number of deaths. 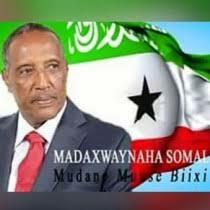 While this real and substantial threat to peace and stability has been resolved to a degree by political leaders urging calm upon their supporters, deep rifts remain and have assumed clan as well as political dimensions, with the potential to damageSomaliland’s democratisation. Thus, the report repeats the recommendation made immediately following polling day: thatSomalilandmust urgently adopt a robust system of voter registration, so that future elections can be approached effectively and with confidence. Yet, despite the reservations and some genuine grievances, there were many gains from Somaliland’s 2012 elections: with three political parties selected,Somaliland now has a clear road ahead into the next stage of its electoral cycle. The mission urges all stakeholders to continue to work to resolve difficulties using the methods of negotiation and reconciliation that have worked so well in the past inSomaliland. “Swerves On The Road” will be launched at University College London, Room G03, 26 Bedford Way, London WC1H 0AP at 5:30pm on June 11th 2013. A panel discussion featuring Dr Gabrielle Lynch (University of Warwick), Richard Dowden (Royal African Society), Ayan Mahamoud (Kayd Somali Arts and Culture) and Dr Michael Walls (University College London) will be followed by a reception and a photographic exhibition by Kate Stanworth, the mission’s photographer. Further launch events in Somaliland in June and in August as part of the Hargeisa Book Fair will follow.